On the special occasion of the 187th birth anniversary of Ebenezer Cobb Morley, the English sportsman, who is also known as the father of the modern football is honoured by the Google doodle. 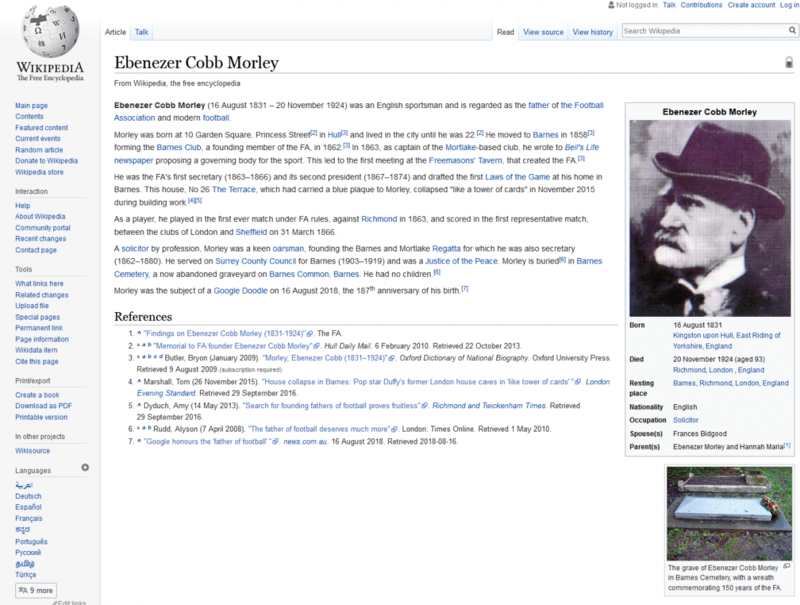 Ebenezer Cobb Morley was the first secretary and founding member of the football Association (FA) in the year 1863. The Football Association (FA) is famous for forming some of the rules that shape the modern-day football. At a young age of 22 years old, Ebenezer Cobb Morley moved to Barnes and introduced the Barnes Club in 1858. He was again the second president of FA in the year 1867 and served in the post till 1874.